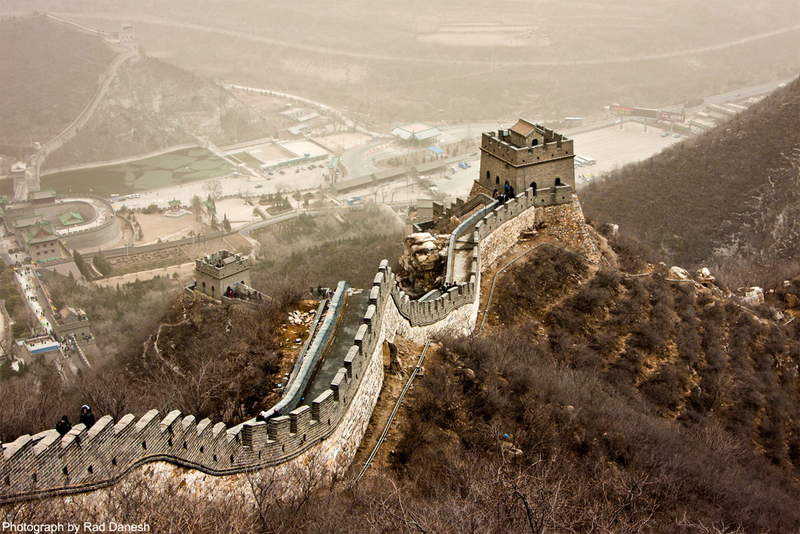 The most accessible and most visited section of the Great Wall of China is at Badaling, about 70km north-west of Beijing. A quality, The Great Wall of China at Badalingdirect road from Beijing makes transport quick and easy. Built during the Ming Dynasty (1368-1644), this part of the wall was restored in the 1950s and was the first section opened to tourists. A more recent 1980s renovation has the wall gleaming. Steep inclines and hilly terrain makes the scenery impressive and allows vistas of the wall meandering off into the distance. Many claim that Badaling is too touristy and too crowded, which is nonsense. Even on a summer weekend there’s room to move and at all other times you should even be able to have a short stretch all to yourself if you’re willing to walk far enough. Of course, the slide from the top of the wall down to the entrance does cheapen the place.